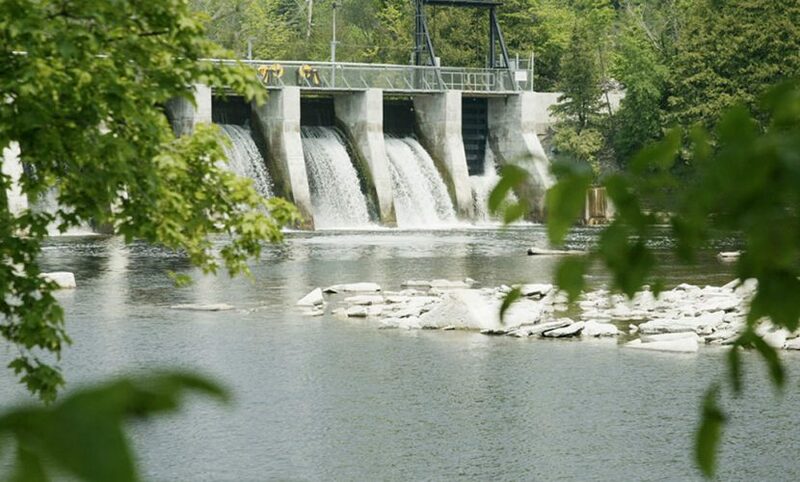 The Glen Miller run-of-river hydroelectric facility is located on the Trent River, in Trenton, Ontario, which has a drainage area of approximately 12,500 square kilometres and comprises Balsam, Sturgeon, Buckhorn, Stony, and Rice Lakes. Its nameplate capacity and average annual output are 8MW and 41,606 MWh respectively. Construction began in January 2004, and the facility started commercial operation in December 2005. Glen Miller is located on a site that houses a paper mill, operated by Sonoco Canada Corporation until 2001. The Glen Miller power plant, which is wholly owned by Innergex, has signed a 20-year power purchase agreement (PPA) with the Independent Electricity System Operator (expiry date: December 19, 2025), for the facility’s total energy output. This PPA also includes electricity price adjustment clauses.